Did you know that most people who become unemployed are not eligible for their state's unemployment benefits? I've fortunately never used the unemployment benefits afforded by the state of California, but I was hopeful that if I ever needed it, I'd get some benefits. Suggestion: Before you lose your job, find out what your state offers in terms of relief. You may be unpleasantly surprised. Better now than later, though. Like what you've read here? Subscribe to Money Hacks by Email. Here's a story about "the Street of Broken Dreams" where sellers, buyers, lenders, and brokers all conspire to raise the selling prices of homes. Here's a novel idea: Free gas in exchange for placing advertisements on -- and all over -- your car. Retailers and marketers are sneaky folks; they know what you want before you do. The story below shows a few tricks that merchants use to get you to buy or buy more. Very illuminating. Keep this stuff in mind when you're shopping. Better yet, don't go shopping. Remove the temptation. This is how American corporations work (I got this in an email); it's a little tongue-in-cheek, but it's true enough. Substitute any other country for "Japan" or "India" and the joke turns out the same. They also implemented a new performance system that would give the 1 person rowing the boat greater incentive to work harder. It was called the 'Rowing Team Quality First Program,' with meetings, dinners and free pens for the rower. There was discussion of getting new paddles, canoes and other equipment, extra vacation days for practices and bonuses. 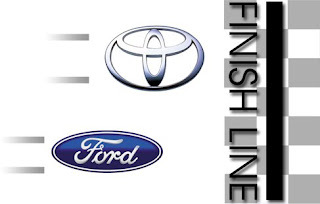 TOYOTA made 4 billion in profits while Ford racked up 9 billion in losses. Like this kind of stuff? Sign up for my free email subscription! I subscribe to a number of newsletters about the financial markets. One of my favorites is John Mauldin's Thoughts from the Frontline, which always provides a viewpoint outside the mainstream media. Call it contrarian, against the grain, or just plain kooky (it's not, but call it what you will), it serves up perspectives from folks deep in the industries they work in and follow. It's always good to remember that the industry insiders make money whereas the pundits, authors, and economists don't always fare so well. Also remember that nobody has ever become filthy rich by following the crowd; rather, it's those that run counter to the current "intelligence" that seemingly make money out of nothing. George Soros calls them "Alchemists." Here's the link to get yourself on John's mailing list. How Ugly Can it Get? The voting part of the equation is tempered by fear and greed. It is largely emotional, although investors like to think of themselves as rational players. That emotion is driven by views of the future. If you can be confident of large and growing returns, you are less likely to be swayed by the erratic movements of a stock. But as confidence wanes? Well, that is the stuff that bear markets are made of. Because at the end of the day, what the market weighs is earnings and the ability of a company to reliably produce them. This week we look at what earnings are likely to be over the next year and see if we can discern what that suggests for the markets. We also take a look at the energy markets, the possibility of a further drop in the price of oil, and muse on what a sane energy policy for the world would look like. There is a lot to cover, but it should make for an interesting letter. I highly recommend that you subscribe (I receive nothing in return for this endorsement); if you find that you don't like it, you can always unsubscribe at any time. Prime Time Money tagged me with the challenge to "Find one step you can take to make your financial system better or more organized." My single step was buying a little software program in the late 80s (I was still a kid! Really, I was) called Managing Your Money which led me to the inspiration and contributor to the software, Andrew Tobias. I found out that Tobias was a personal finance author (what are those? You mean there were experts before blogging? ); one of his books was humorously called "The Only Investment Guide You'll Ever Need." In this book, I can truly say that I learned at least 95 percent of what I know today about personal finance, investing, banking, and saving money. I also learned 100 percent of what I know about wine (which is still very little, by the way). Tobias is an advocate of index fund investing, buying in bulk (he provides the ROI calculations, too), yet only investing money that you can truly afford to lose. And he's lost a lot! He's lost his shirt in Broadway and off-Broadway plays, futures and options, commodities of all sorts, real estate, collectibles, and limited partnerships in oil and gas. You name it, he's invested in it, and he's lost money in it. He goes through the various ways he's lost money to illustrate the idea that you just cannot win in the investing game by going for broke and paying tons of fees. The experts in commodities, for example, will always clean your clock. These speculative "investments" are zero sum games: One guy wins, you lose. Contrast this with the stock market, where one man's gain isn't necessarily another man's loss. We can all win; or, in other words, a rising sea lifts all boats. The stock market, even though it's sucky now (financial term for "underperforming"), is your best bet for long-term growth of your money. I still follow Andrew Tobias. Though he talks a lot of politics on his site, the focus still is on financial planning, frugality, and investing. He's funny, witty, and smart. Many choose "gurus" like Dave Ramsey, Jim Cramer, or Ric Edelman. I found Andrew Tobias. It's been a great find! 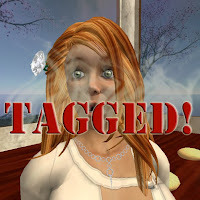 Now, whom shall I tag? Like what you've read here? Subscribe to Money Hacks by Email. You might find yourself with a free book from me if you subscribe (I will select "winners" in August). Back when I was in college, I remember watching Johnny Carson interview Andrew Tobias, who was giving personal financial advice. Johnny asked: "What's the best investment for someone who has only $1,000?" Mr. Tobias said, "Nonperishable consumer staples." Tom (of Morningstar fame) held some shares in Disney, and while he liked the company, he thought its stock price was a bit rich at the time, so he sold the Disney stock to fund the purchase of the piano. Tom never got back into Disney and instead watched it rise and rise. Years later Tom would walk through his living room, see the piano and mutter to himself, "That's the most expensive damn piano on the face of the planet!" The logic was simple: An academic's salary rises steadily over time, as do outside opportunities (like writing popular books!). The right reason to save is so you can even out your consumption. When times are good, you should save, and when times are bad, borrow. Most likely I would never be that poor again, which meant I should be borrowing, not saving. 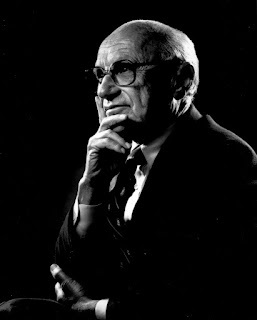 I didn't follow the advice as fully as I should have, partly because my wife insisted we save - she is not quite as good an economist as Milton Friedman. Do you agree? It makes some sense to me. Love the last line! Starting my own business seemed so risky, but maxing out credit cards or even going bankrupt isn't so risky if you do it at a young age. You'll never regret taking those risks, but you might regret it if you don't. What do you think? It seems that the whole PF blogosphere reviles debt, especially credit card debt. Does it make sense to max out cards in the pursuit of a dream? People don't get fabulously rich by NOT taking risks. And, trust me, one of the biggest risks you can take is putting your fate in the hands of credit card companies! 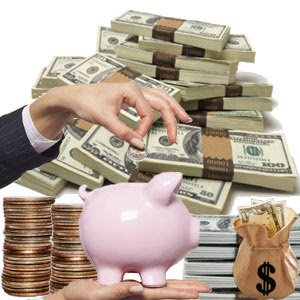 Short of borrowing money from the SBA, your family, or your friends, you could try prosper.com or your credit cards. If you have an idea that you know will succeed (and it will, if you never stop trying), you're taking a bigger risk NOT doing it than doing it. So, keep your day job, use your available credit to fund your hobby-to-be-turned-into-a-business, and GO FOR IT. Or, keep your day job, scrimp and save, and retire at 65 with enough money to eat dog food. If you're lucky enough to have figured out life early on, you can have the best of all worlds -- well off, happy, and young. IF your parents taught you well, you saved most of the money you ever got, and you started really young, you can have it all. Want a daily digest of Money Hacks? Subscribe here and I may just give you a free book. Here's a brief interview with billionaire investor, George Soros by Money magazine. Q. Growing up in Nazi-occupied Hungary must help you keep today's risky markets in perspective. "Borrowing money is like wetting your bed in the middle of the night. comes the awful, cold discomfort of reality." First in a series of 40 quotes from famous fund managers, sports stars, comedians, and other noteworthy folks. Welcome to the July 28, 2008 edition of Kids and Money. I need your help: Please link back, call out, tell your friends, and tell your enemies about this carnival! I really need you to help me promote it. Hopefully, you find it an avenue to talk about personal finance and kids. Now, let's take it to the next level and actively promote it so that your words and wisdom can be heard! Tom Tessin presents How to Maintain a Job and School at the Same Time. Connie Brooks wrote What the Kung Fu Panda Can Teach You about Becoming a Millionaire posted at Money Smart Life. Raymond offers How To Get A Free Roller Coaster Photo At Six Flags or Disney World posted at Money Blue Book. Sounds kinda cheap-y, but it works! Joe Manausa presents Housing Prices Decline Slightly - A Clear Picture Is Forming posted at Tallahassee Real Estate Blog, saying, "While there have been many articles written on the declining real estate market, most are filled with facts and figures that are difficult for the lay-person to follow. This article is filled with easy-to-understand graphs that demonstrate the modest decline in home prices." Losing equity in our homes can severely undercut our ability to save for college so this article really hits home. Joseph presents How To Save Money On Movies posted at Penny Pinching. Movies are ridiculously expensive so anything you can do to save is worth it. Jennifer Johnson shows in Tips for a Great Relationship the importance of mom and dad relationships. No doubt about it, Mommy and Daddy have to get along! Silicon Valley Blogger presents Are You Ready To Be A Parent? Know The Cost Of Having Kids posted at The Digerati Life. This is so important, if only to enlighten you to the fact that you need to make a lot MORE money!!! The insets in this post are hilarious. Worth the read just for the humor (by the way, they're totally true)! PlanningQueen presents Financial Planning With Kids, saying, "One family's way of dealing with the issue of pocket money." This is one topic we'll be grappling with very soon. 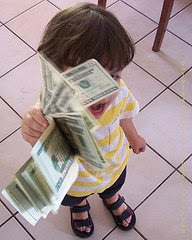 It's amazing how kids grow fond of money from their emergence from the womb! David Cassell presents GED Scam posted at selectcoursesblog.com. Good to know! It should never surprise that scams abound all around! 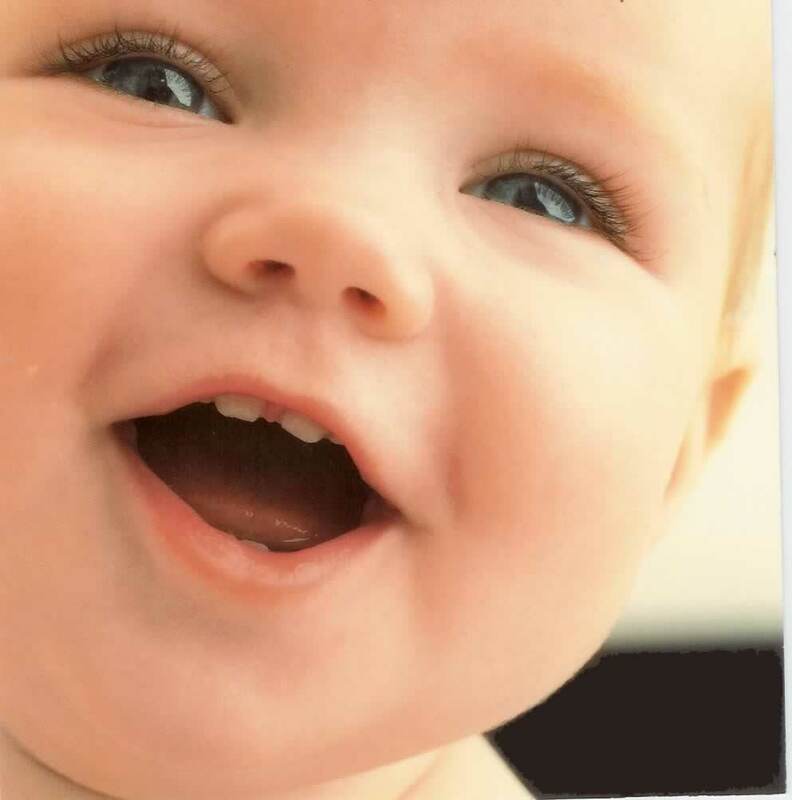 NtJS presents Celebrate Independence From Disposable Diapers saying, "Disposable diapers are expensive, bad for the environment, hard on your child's skin, and don't work well. So what would possess us to temporarily switch back to them and ditch cloth?" Do tell. We use cloth diapers, too, but only when we're not going out, which, as you know, is not very often! Faron Benoit presents 10 Things I Wish My Parents Had Told Me About Money posted at Financial Learn. Lots of good things to discuss with your children here. KCLau presents Average Monthly Household Income in 2007: Is it enough? posted at KCLau's Money Tips, saying, "According to a survey done by the Statistic Department for the Economic Planning Unit, published in Personal Money Magazine June 2008 edition, a typical family in Malaysia earns only RM3686/month. How much this is worth and how much can be spent." Do any of us ever make enough money? Reina presents Hyperthermia Deaths of Children in Hot Vehicles posted at BestForYourKids.com. Want something for almost nothing? If you Subscribe to Money Hacks by Email, you may be selected for a free book. Ran across this today -- a new search web site, created by some ex-google employees, called, annoyingly, Cuil (as in "cool"). Here is the result page for "money." Quite nice, don't you think? T Boone Pickens plan to get us off foreign oil. 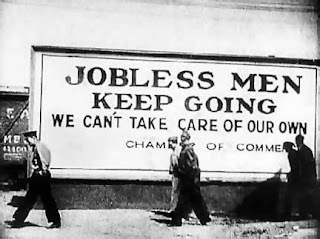 Here's a piece from Robert Samuelson, contributing editor of Newsweek, describing the similarities and differences between our current economy and that of the 1930s (i.e., the Great Depression). In it, he notes that there is no economic definition of depression, recalling the 1870 through 1890 period of falling prices. We most certainly don't have that (unless you're talking housing! 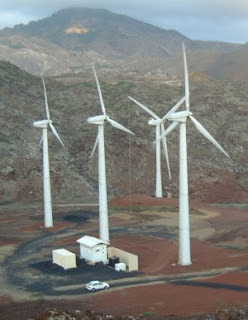 ), what with oil, food, and other raw materials up in price. Rest assured, his article implies, we are not heading toward a depression; in fact, the economy is quite strong, given all the "hand grenades" currently being thrown at it. I'm thinking this is a sign of the times, as $@%^*(#), the artist formerly known and now currently known as Prince, would say. Don't want to talk to somebody but you want to leave a message? Slydial lets you go right to voicemail. Pretty slick. It's free to use. Just dial 267-759-3425 and then enter the number you want to leave a voicemail at. 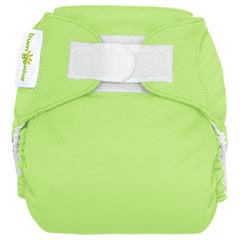 Baby Cheapskate Contest: FREE Cloth Diapers! Enter this contest to try to win cloth diapers. Talk about inane policies! Hockey is a BIG DEAL in Canada. Of course, you know this. But did you know this? Air Canada charges its passengers fees to transport oversize luggage. This is becoming the de facto standard across all airlines. However, there's a trick to getting your bags flown for free: Pack hockey gear. That's right. Pack some shoulder pads or a helmet and you're oversize bags are exempted from the obligatory fee. Crazy? Yes. But you'd be crazy not to pick up a pair of hockey gloves, if you ask me. I smell something, and it's not flowers. It's interesting how an analyst at JP Morgan Chase (JPM) can upgrade the stock of United Airlines (UAUA) and suggests a acapital infusion and then JP Morgan announces a deal that magically adds $1.2 Billion in assets to United's balance sheet. Analyst Jamie Baker at JP Morgan last week raised his rating on UAL shares to overweight from underweight based on their low price. But he said that to stay competitive, the airline needed to secure at least $1 billion in incremental borrowing, as the airline industry faces significant challenges. The shares rose Tuesday as the price of oil retreated, and United announced plans for raising more than $1 billion of new money, as well as for cutting additional costs. UAL shares jumped 56% to trade recently at $7.79. The Chicago airline it will receive $600 million from JPMorgan Chase, its bank-card partner, relating to the advance purchase of frequent-flyer miles and the contract extension. How is this not a "pumping" scheme? How transparent is this? Sounds like the JPM analyst created money for his clients simply by suggesting, before it happened, that the deal was going down. 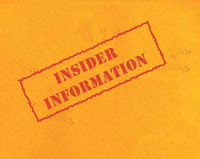 Insider information? Who knows. But it sure smells rotten. I think JPM ought to be investigated. If it walks and talks and smells like a duck, it's probably a duck, if you know what I mean. There are two interesting things in this chart. First, there have been two spikes in "real dollar" oil prices: One prolonged one that started in the early- to mid-70s, and the one we're in now. Secondly, you'll note that we just passed the highest level recorded back in 1990. I, for one, believe that prices generally "return to the mean" which would be around $34. This may be a little unrealistic, due to the fact that China and India have become major consumers of oil over the last few years, all the while the world's oil reserves have gotten smaller. The double whammy of increased demand and lower supply will cause prices to rise. But by how much? I'm hearing in the usually bearish commodity markets that many believe oil will drop to the $70 range. I would bet on this for the short-term future. Long term, we're way above $100 and may never see double digits again. But everybody said this in the 70s, 80s, and 90s, too. All wrong. In case you hadn't guessed by now, I'm an economics junkie. Schooled in the discipline of economics, I never really "let it go" when I found other interests in which to pursue for a career. In that vein, then, you'll find me talking about the economy and monetary and fiscal policy a little more than "those other Personal Finance" bloggers. I wanted to draw your attention to something that will no doubt be in the news for the next couple of years: Inflation. Inflation is the general rise in prices. If prices rise by 5% this year over last, the rate of inflation is 5%. We're pretty lucky here in the United States. I just read that Venezuela's inflation rate is north of 30%. But at least it's not as bad as Brazil's nearly 1,000 percent inflation of the late 80s. Inflation is a drag on the economy. It means that the paycheck you earn doesn't go as far this year as it did last year. Gas, food, energy, and shelter (look at rents) are all more expensive this year than last year. What drives it all? Some say it's a monetary phenomenon. The Fed is offering "easy money" -- in short, the Fed has created too much money too fast. Some would say it's input costs: The manufacture of a tire consists of many inputs (rubber, energy, overhead, advertising, transport from factory to sales floor, etc.) and many, if not all, of these costs have risen. In short, inflation can be caused by a number of things. It doesn't get really hairy until the inflation rate rises above 5 or 6 percent. Prior to that, sure, it's a bother, but it's not like gasoline doubled in a year (it did) or the price of onions rose by 400% (it did), but those costs haven't fully been absorbed into the cost of finished goods (yet). You can bet that the Fed will do all it can to keep inflation in check, even if it means causing a recession (or worsening it, as the case may be). Take a look at the graphic I just placed near the bottom right-hand side of the page -- it shows the most current rate of inflation. Just one more way I'll be bringing you topical, up-to-the-minute news about the economy. If you enjoy this sort of thing, by all means, let me know. If you don't, please kindly disregard it (because I like it). Like what you've read here? Subscribe to Money Hacks by Email. I'll be giving away some free stuff to select subscribers (new and current subscribers alike). If you get an email from me about the fact that you've won, please reply promptly. Otherwise, your prize may be given to the next in line. I went to a convenience store today to pick up a pick-me-up and handed over $3 for a $2.93 purchase (big spender). The person running the register (most likely a store owner) gave me a dime back in change. I know, it's only 3 cents extra. But aren't these guys in the business of making money? I would have given 7 cents in change. I'm a mathematical genius. Put another way, she gave me almost 50% too much in change. Isn't that weird? Does this indicate the disdain shopkeepers and store owners have for the US Dollar? I know she wasn't out of nickels or pennies, so the correct change was certainly within her grasp of giving. What does this mean? Have you had an experience like this? Tell me about it in the Comments. I subscribe to Scottrade's "Tomorrow's News Today. Today's edition talked about a term I hadn't heard before called "front running." the illegal practice of a stock broker executing orders on a security for their own account (and thus affecting prices) before filling orders previously submitted by their customers. Short selling spikes before public reports of large sales by a corporate chief executive, probably due to illegal “front running” on inside information, a new academic study concludes. It's amazing to me (but it shouldn't be) that a market, so perfectly conceived, like one we've concocted to trade stocks, can be so perversely manipulated by greedy people. But, of course, I've always been inclined to believe that something like this has happened ever since the first stock was traded; I just didn't know what it was called (except for illegal, unethical, immoral, and/or greedy). Not sure I understand the math here, but WM lost $6.58 per share. It's trading at around $5.50 to $6.50 per share. Will tomorrow be an absolute blood bath? Just look at the scarce resources of the planet: Air, water, and land. Not to mention oil, gold, and corn. Things inherent in the Earth or grown on the Earth using other scarce resources are things that have experienced wide swings in price levels in the past and will continue to do so in the future, only in much wilder swings. As I noted in a post on June 25, 2008, it is my sincere belief that water is next on the horizon. Water demand has consistently outstripped supply on most of the planet from day 1. It's only going to get worse. 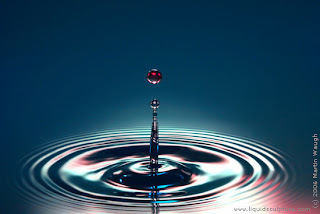 My friends at Freakonomics wrote a post entitled, "Is Water Too Cheap? ", where they look at this exact issue, from an economics standpoint (econ, after all, is the social science that studies the rationing of scarce resources, predominantly through the pricing mechanism). So it stands to reason that the price of water will rise as more and more of it is demanded and less and less of it is supplied. Now put increased water prices in your budget! As I've said before, now may be a time to dip your toes into the investment pool we call the stock market. I'm not sure whether index funds, individual stocks, or mutual funds are the way to go (it's more to do with your individual risk tolerance, in my opinion), but I do know that the market is especially cheap right now. Not cheap in terms of P/E ratios (they're high, actually, due to the fact that the "E" -- Earnings -- is down more that the "P" -- Price -- in many cases), but cheap in terms of historical prices. For example, Ford (F) stock is at $5.50. Historically, it's been a good great idea to buy Ford whenever its price dropped below $10. Now, it's a fire sale. Will Ford recover? I don't know. But it always has. If oil drops in price significantly, you can bet Ford will rise like a Phoenix -- AGAIN! -- and outperform the market in general. The automotive industry is cyclical. Always has been. Always will. General Motors just announced that they're going to free up $15 billion. This cannot hurt their bottom line, and, subsequently their stock price. Here are 10 reasons the Wall Street Journal gives for buying stock right now. The big money has already fled the stock market. The media is now having a Triple Omygad about the economy. Short sellers are coming under fire. Discounts on closed-end funds have skyrocketed to near-record levels. Company executives are turning bullish. We're seeing some silly prices. Ken Heebner, perhaps the best performing mutual fund manager in America right now, is bullish. Good mutual funds have started reopening to new investors. Read the whole story in the Wall Street Journal. Comments? Insight? Share them with me by posting in the Comments. Welcome to the July 18, 2008 edition of Kids and Money. All of the post below were top-notch. Hence, I have no reason to pick a Post of the Week: You all win!!! Chris opens with What Makes Kids Happy?, saying, "How we spend (or don't spend) money on our kids is important. What's more important to them is our interest in them and the time we spend with them." Good ideas on inexpensive kid activities. Larry Russell presents Living Expense Tracking Methods. Silicon Valley Blogger presents 5 Of The Youngest Entrepreneurs On Their Path To Success And Riches, saying, "How about how some profiles of kids who are leaving their stamp on the business world? Some of the young people profiled in this article are literally still children." Talk about motivational! Some of these young adults are children. David Cassell presents Feel The Pain. Neelakantha presents 100 Ways to Improve Usability in Your Library. Ken Clark, CFP presents Four Neighborhoods That Will Pay For Your Child's College Education, saying, "Live in the right neighborhood, and college is free!" KCLau presents How to Calculate Your Investment Portfolio Return, saying, "Article on how to calculate investment returns portfolio"
Method to calc a portfolio return. Anand presents How to Master Money and Wealth | Money Management, saying, "The key to financial success is managing your money well. This article details a simple management system you can use regardless of your income to pave the road to financial well-being." Earn more than you spend. Simple. Wide Open Wallet presents Christmas in July. Every day is a great day. But you cannot indefinitely spend more than you earn without repercussions. Vera Lang presents How to Reduce the Cost of Car Insurance for Teenagers, saying, "When it comes to getting car insurance for teenagers, you really want to be able to save as much money as possible. Although many people unfortunately do not realize it, there are quite a few different things that you can do in order to reduce the cost of car insurance for teenagers, of which will be discussed here." Luckily, I have 14 more years to wait. Helen Anderson presents 5 Credit Card Fees You Probably Didn’t Know About. The credit card companies are notorious for tacking on fees. Here's what to look for. There are a ton of things that we know about the credit card industry because we're smart Money Hackers. But there are some things we don't know, or that we knew but then forgot because they're so...well, obvious. 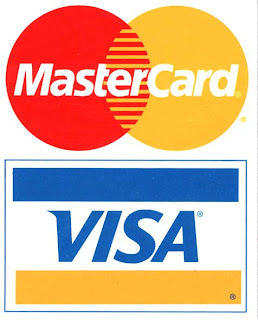 It's ALWAYS a good idea to read each of your credit card's Terms and Conditions (T&Cs) to find out the specifics, but these 10 items are industry-wide, governed by VISA and Mastercard (and American Express and Discover, to lesser degrees). Merchants do not have to accept your card if it is unsigned. Merchants cannot establish minimum purchases. Often, you'll find that the small "mom and pop" type stores place "$10 minimums" on credit purchases. They cannot do this. But we all go along with it. They also cannot charge you a fee for making a purchase below their self-imposed "minimum." However, you'll find that neither issuing banks (like Bank of America) nor VISA/Mastercard will actively enforce this rule. In short, you'll have to walk away. The merchant can refuse service to anyone for any reason (as long as it's not discrimination as defined by a federal or state statute or law. I see #2 all too often. I've called issuing banks and VISA and Mastercard and none of them seem to care about their own rules. Make it a point, though, that you will not shop at places that break these rules. They're there, after all, to protect you. Plus, if you pay more just to make a purchase a credit card purchase, being money-wise kind of goes out the door, doesn't it? Prior to the '30s, bank runs were quite common, as there was no FDIC insurance on deposits. So the run on the IndyMac bank a few days ago was somewhat startling to a 40-something fan of economics and bank worker (that would be me). Take a look at the photo to the right. 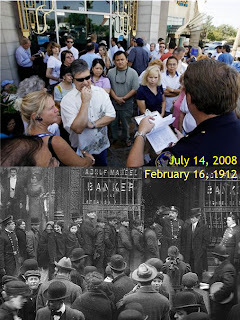 See the difference in how a bank run looked in 1912 versus 2008? Nobody wears hats any more. Nice list of documents to get you started in business. The Non-disclosure one is a great one to start with. Dow Drops Below 11,000: Is Now the Time to Buy? The headline says a lot. Dow dropped below 11,000; will it go lower, are we near the bottom, will hover here for some time, or are we on the way up? All questions for which I don't have answers. However, I can tell you this: If you thought the Dow was cheap at 12,000, do you think it's cheaper at 11,000? Were the fundamentals not as well known then compared to now? Or do you think that pessimism and fear have firmly inserted themselves into this market? I think fear and loathing has overtaken this market. That is not to say that they won't keep or tighten their grip over the coming days, weeks, maybe years. It is my firm belief, though, that prices will be higher in five years than they are now. Our economy is very resilient and we, fortunately, have some really smart people managing our economy at a macro level. 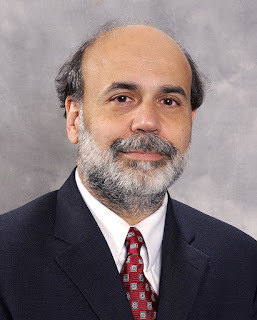 I happen to think that Ben Bernanke and his peers are some of the smartest people on the planet. They've been confronted with the "perfect storm," too. They may have reacted a little slower than I might have liked, but if you believe in free markets, you gotta give the mechanism a chance. I think it's clear by now that we'll get another round of stimulus checks. And now might not be a bad time for a little corporate welfare, a "works" project for good corporate citizens (i.e., not Black Water or Haliburton!). The economy stinks. If you own stocks, you wish you didn't. Money doesn't stretch as far as it used to. A gallon of gas is over $4, gold is at $1000, and oil is at $150. WaMu (WM) has lost 92 percent of its value. IndyMac was taken over by the FDIC. Freddie Mac and Fannie Mae have all but been taken under receivership by the federal government. Layoffs are only going to get worse. More banks will fail. You may lose your livelihood. You have an emergency fund. You have cash in the bank. Are you concerned that your cash will vanish, just like the equity in your home and in your stock portfolio? Why not, you ask? 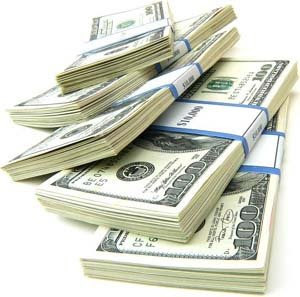 Because if you have $100,000 or less in a given institution that is FDIC-insured, your money is guaranteed. Don't make matters worse by trying to pull your money out of your bank. Putting your money under your mattress makes no sense at all!!! I repeat: Do not exacerbate the situation by withdrawing your money from your bank. 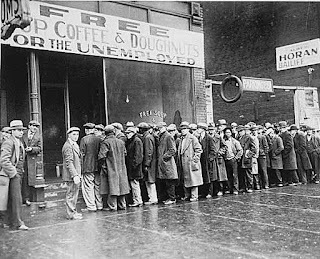 The Great Depression turned from a bad day in the stock market to a total economic meltdown partly because there was a run on the banks. The federal government made the situation even worse by not providing the liquidity the market needed. In fact, it tightened credit. Right now, if the government had to, it would turn on the (figurative) printing presses. Money creation is not a problem, and it is my belief that the Fed, the controllers of the supply of money, will create the money necessary to keep us out of a depression. The Federal Reserve may say it's concerned about inflation, but it's deathly fearful of the opposite possibility, a deflation. One only needs to compare the 1930s to the 1970s to determine which is worse. I even think that there's a possibility that the worst is over. But it may take a year or two of economic doldrums to see an upturn; in short, we may be in this current situation for a couple of years. 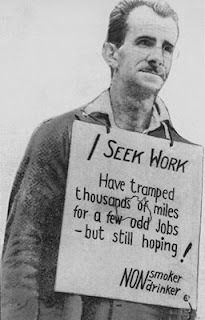 I don't think this will be a prolonged downturn (i.e., Great Depression). However, it will be painful. It's time to tighten the belt and go on a diet, literally and figuratively. Cut out all unnecessary spending: Movies, soda, magazine subscriptions. Put some money in the bank. If you have a home equity line of credit, I'd suggest pulling out enough to keep yourself awash in cash for 6 months. The interest you pay will be trivial, especially if you lose your income. Get rid of junk. Sell what you no longer need. Downsize. Clear clutter. Simplify. Work on earning extra money. Prepare your own meals. Buy local. Buy 87 octane gas. Drive sparingly. Shop at secondhand stores. If you don't absolutely need it, don't buy it. I'm dead serious about all of this. The banks will be fine as long as people don't turn into a mob. You will be fine if you've prepared for this. Kids and Money Blog Carnival: Continue or Quit? I'd like to thank everybody for their outstanding contributions to the Kids and Money blog carnival I've been putting together for the past few months. I've thoroughly enjoyed and learned from your posts. However, the submissions have been down quite a bit and I'm considering either cutting back on the frequency (perhaps monthly?) or stopping the endeavor altogether. Can I ask you for help? Would you consider writing or submitting already-written posts about kids and money for me? I think this topic is of such importance that I've concocted this carnival to see how others feel about it and it's enjoyed overwhelming success (in my opinion), but are we at the end of the line? I certainly hope not. I'll leave it up to you all to tell me in the Comments whether you want me to keep this going. FYI -- I'll need at least 5 submissions per cycle to keep this going. So the number of submissions will serve to guide me as well. I'd like to hear from you whether you find this carnival informative, entertaining, or useful. Once in a while I come across another author's post that is so good that I have to share it with you. This is just that occasion. 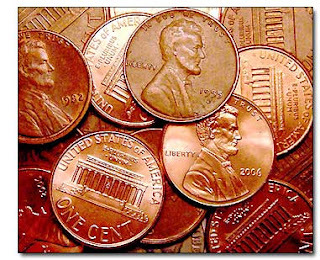 Recently featured on MSN's MoneyBlog, Frugal Dad presents 75 Tips to Survive a Down Economy. 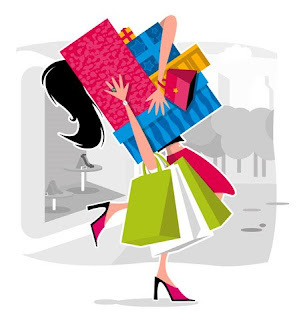 These are absolutely outstanding tips and tricks to get your spending down in a down economy. Try just a few of these at first; you'll soon be addicted to saving money. Don't go nuts though. Using the same towel for 3 months in a row is really gross. I did that in high school and wondered why I never got a date. It probably wasn't the towel, but I can believe that. Welcome to the July 11, 2008 edition of Kids and Money. This is a short one, so I'll get right to it. Concerning Kids presents How to Handle a School Yard Bully posted at Concerning Kids. This post brings up some interesting points about bullying and self-confidence. First off, a lot of emphasis is placed on the bully in a bulling situation. This is exactly what the bully wants, and I daresay, needs. It's important to teach the bully to behave; it's equally important to teach the bullied to stand his ground. Bullies are like thieves -- they go after easy prey. If your child appears to be weak, the bully will smell the fear. Bullying, as mentioned in the post, also occurs in the workplace, but often goes undetected, or -- worse yet -- is completely obvious but chalked up to "Oh, Bob's just being Bob!" Bullying in the workplace is much more tolerated than on the playground. However, it's often much more debilitating to the bullied at work than at school. There is much less mobility in the workplace than in school. Plus, there are so few leaders in business (and often it's the leaders who are the bullies) that something about bullying is never done. KCLau presents How inflation affects your life? posted at KCLau's Money Tips, saying, "An article on how inflation can affect your life. Also, I am giving away a book based on a 10-year study of 200,000 managers and employees. It shows you how the best managers use recognition to engage their people, retain talent and accelerate performance. You will get this great book written by Adrian Gostick and Chester Elton - THE CARROT PRINCIPLE. I'd agree that inflation is eating us alive. It's the ultimate tax that affects everybody...who buys stuff (which is everybody). Yet our government has sat on the sidelines letting our dollar slide precipitously, our financial markets rot, and our corporations to leave in droves. 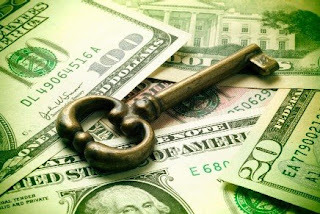 Anand presents How to Master Money and Wealth | The Key to Financial Freedom posted at Anand Dhillon . com, saying, "This article details a long-term approach to becoming financially free. Put this into practice and you will reach the point where you will never have to work again unless you choose to." This is a great article that highlights and really brings home the idea that you can get ahead by earning more than you spend. Ted Reimers presents Paying for College posted at CampusGrotto. Good summary of options we can use as parents to help our college-bound children pay for a higher education. kids and money, blog carnival. Freddie Mac, Fannie Mae Jitters Over? Those quasi-government entities, Freddie Mac and Fannie Mae, just got access to the Fed discount window, saving them from going to zero. They had been down around 50 percent for today's session, but now they're doing much beter. Apparently, the President's position, which as of yesterday, was to let these companies fail, changed and he drove the Fed to offer capital to them. Who knows what goes on behind closed doors? But you gotta believe that Bush was hearing the comparisons, again, of himself to Hoover, and he wants to avoid that comparison at all costs. Question is, is this the economy's last gasp before its heart fails? Is this the "last kick" before the horse dies? Or is it a HUGE infusion of blood to a bleeding patient? Have we stopped the bleeding? If so, this could be the turnaround everybody has been looking for. One of my favorite conservative economists, Greg Mankiw, recently wrote a piece about corporate taxes in the New York Times. There are two basic schools of thought when it comes to corporate taxes: Either treat corporations like individuals, where they're obligated to pay taxes, or treat them like a pass-through entity, where they, in effect, pay zero taxes. It is my opinion that the double taxation that currently exists because of the corporate income tax is onerous to the economy and to individual taxpayers. I think we should abandon both forms of taxation, both corporate and individual, and use a value-added tax (also known as a sales tax). We are smart enough to figure out how to make this fair and equitable. But we won't because our system is so political that the special interests will fight it out until nothing happens. It's too bad too, because this is the time when I think real change is not only acceptable, but sought-after. Here's a story about the next possible city/region for which a real estate crash may occur. This is a great article, food for thought, about passive income. Yahoo: Near a Mass Exodus of Talent? Hey, if this isn't a reason Yahoo should covet a deal with Microsoft, I don't know what is. Seems like both companies might benefit through a merger. 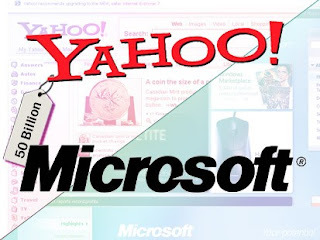 No merger might mean death to Yahoo with seemingly everybody leaving, and it might mean zero growth for Microsoft until they figure out how to make Windows and Office better. Lawrence Lindsey, former economic adviser to President Bush, wrote a piece recently in the Wall Street Journal about Democratic presidential nominee, Barack Obama, and his tax policy. It's not good for most of us. This is not to say that John McCain's proposed policies are any better. But it seems we may be headed down the path -- yet again -- of voting for the lesser of two evils. I certainly hope that whomever is elected president is confronted with an opposition majority in Congress, for it is my opinion that the best government is one that cannot get anything done. This would be virtually assured if a Republican majority were in Congress while Obama was President, or if a Democratic majority were in during McCain's tenure. We don't have to be reminded of the outcome when President Bush had a Republican majority in Congress. Here's an idea I can totally support -- naps! 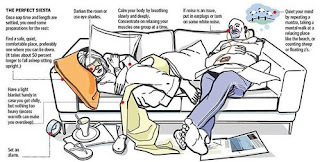 I just read a piece called How to nap - Boston.com from Merlin Mann's blog, 43 Folders, that describes how to take better naps. I'll try to put this to use in my 5-day recovery from my upcoming surgery. I'll let you know how it goes. By the way, when I'm not napping, I'll be on Twitter a bit. Let's strike up a conversation...about anything. Prime Time Money had a guest post recently that talked about preparing for winter heating and electricity bills now, rather than later. It was a great post. I was astonished that somebody paid almost as much for energy last year as I did (if you recall, I spent more than any of my neighbors, according to PG&E). I encourage you to read the article now and prepare today for what inevitably will be an expensive winter. 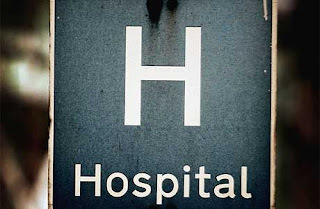 Hi all, I'm getting my knee scoped on Wednesday and expect to be out most of the day (I mean OUT); blogging may be a little haphazard the first few days after surgery. Of course, I have some posts set to run while I'm out, but there won't be any spontaneous newsworthy posts. Wow, I'm terribly flattered to be included in the same breath as any one of these sites! This is an excellent list, too, not just because my humble site is mentioned, but because it's chock-full of great sites about all sorts of topics. It may behoove you to open every single one of the 80 links and not only bookmark them, but add their RSS feeds to whatever feedreader you use (check out Google Reader, a free Google product). 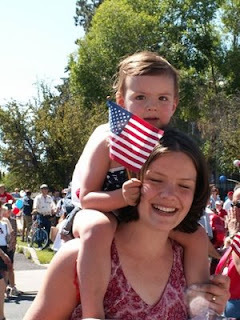 Welcome to the July 4, 2008 edition of Kids and Money. 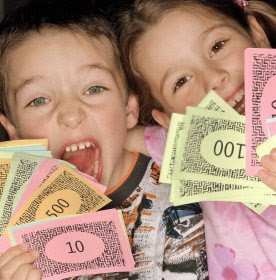 Madison presents Teach Kids About Money - Top 14 Ways to Teach Kids About Money posted at Kids and Money, saying, "A great overview on teaching kids about money. Thanks for hosting! Madison"
Great tips on how to teach your kids about money. Simple, concise, clear. A perfect blueprint for doing it right! Livingalmostlarge presents What working moms miss? posted at LivingAlmostLarge, saying, "Why is it that working moms miss everything? What about working dads?" Jennifer Johnson presents Pregnancy-The State of Mind posted at MommyABCs.com. Jennifer Johnson gives some ideas on diapers, coupons, saving money, and generics in Saving Money at Home posted at MommyABCs.com. Aussie Investor presents Investing In The Stock Market To Grow Your Wealth posted at Money Management Personal Finance Blog, saying, "One of the best ways to build your personal wealth is by investing in the stock market (just look at Warren Buffett). This post contains some tips on how to get started with your stock investing endeavors." Stocks most likely will remain the best investment for small investors, even (because of?) in the current bear market. Silicon Valley Blogger presents 10 Tips On Life and Disability Insurance: How And Why We’re Getting More posted at The Digerati Life, saying, "The ins and outs of insurance that you need to cover your family and your kids." We're currently going through this exercise as well. Insurance is expensive, but it's even more expensive to live through a catastrophe without it. imarketing4s presents Top 10 Money Mistakes In Buying A Car | LoanHunt.com posted at LoanHunt.com. If you have kids, you most likely need a bigger car. 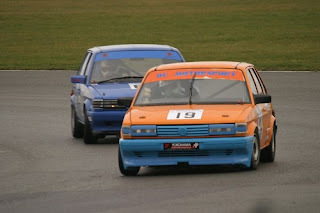 We had to buy a bigger car than our Jetta and we settled on a Pilot, but no matter how you cut it, cars are expensive. 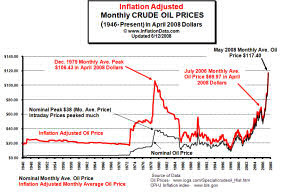 Neelakantha presents 8 Ways the Bush Administration Has Caused the Oil Price Boom posted at Currency Trading.net. While this is not a political commentary blog (if you want that, go to Rants 'n Reviews, where I go off on occasion about current affairs), if you think you got a tax break in 2001 and 2003, think where all that money has gone -- in your gas tank. Joy Harrison presents Loan scams: 6 loan pitfalls to avoid posted at Money Sense, saying, "Loan scams… we all know they exist, but that doesn’t mean we have to sit back and be victimized. Learn the six common loan pitfalls that we all should avoid." Sally Thompson wrote 101 Scholarships Just for Teachers posted at Teaching Tips. KCLau presents Do you have the assets to pay for your liabilities? posted at KCLau's Money Tips, saying, "An article on whether you have enough assets to pay off liabilities and how to create assets." Funny story about thankless children; if you're a child, please read this and learn. If you're a parent, take this to heart. I just wanted to let you know that I've built two new sites, a corporate web site for my computer consulting business, Computer Monkeys (established in 1996), and a companion blog, the Computer Monkeys Blog. If you're "into" buying, building, securing, maintaining, fixing, or getting the most out of your computer, please take a look at both sites; I'm sure you'll find some useful information there. Thanks for your consideration. Happy July 4! Saving or Borrowing Early in Life? Here are some money-saving tips for new parents. Being a new parent (twice now), I can vouch for this. Raising children is a very expensive proposition. If you're not "expecting" now, but want to have children, just go to BabysRUs and Target and see how much things cost. Open a 529. College will cost $1 million in 20 years. Or something like that. Kids are wonderful. But they're expensive. And these are just expected bills. Wait for the trips to the ER. I've been there a lot with my two boys. It all adds up to...early stroke, heart attack, or looney bin.